US equity indexes closed significantly higher, sp +38pts (1.5%) at 2619 (range: 2532/2638). The Dow and Nasdaq comp' both gained 1.4%. The two leaders - Trans/R2K, settled -0.2% and +0.9% respectively. 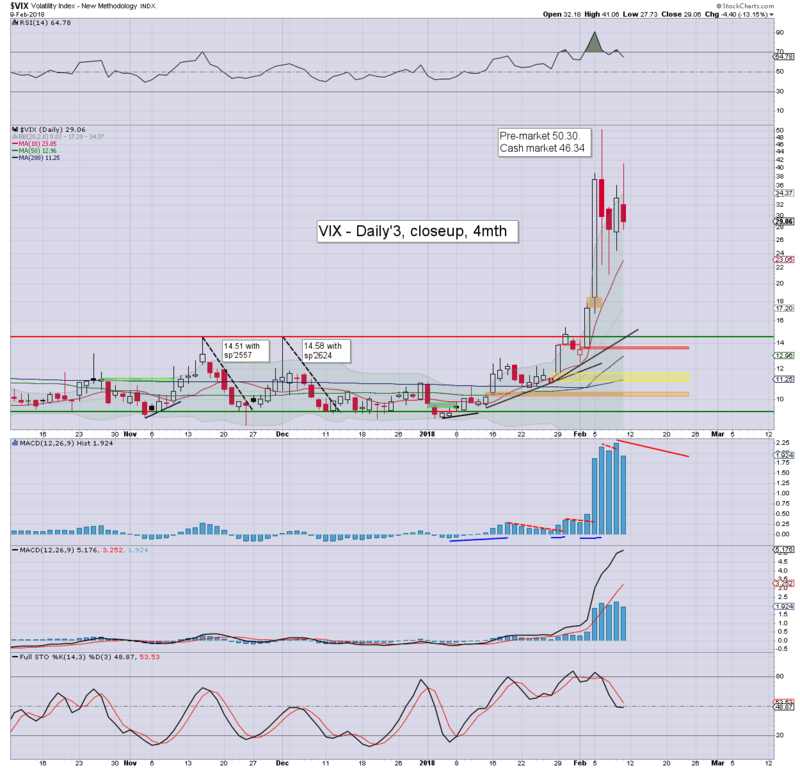 VIX settled -13.1% at 29.06. 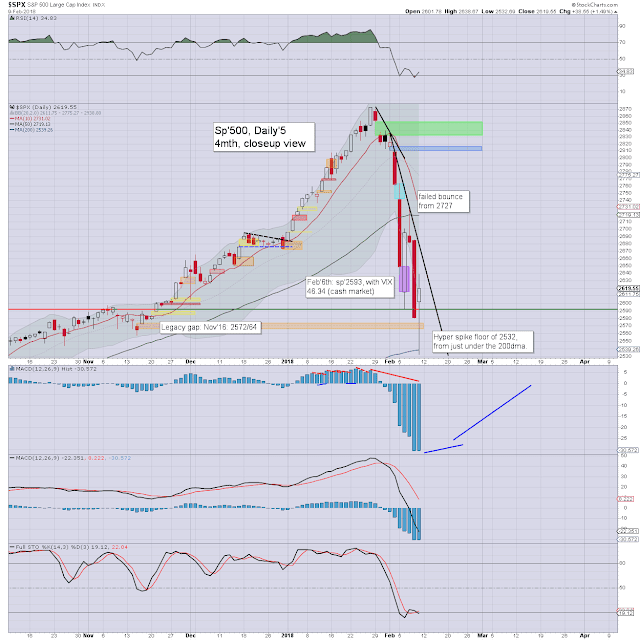 Near term outlook offers initial upside to the sp'2720/30s. 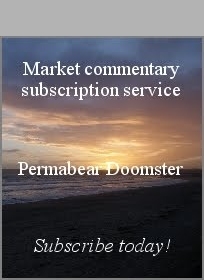 US equities opened positive, but then took yet another powerful swing lower, breaking yesterday's low, and spiralling downward. 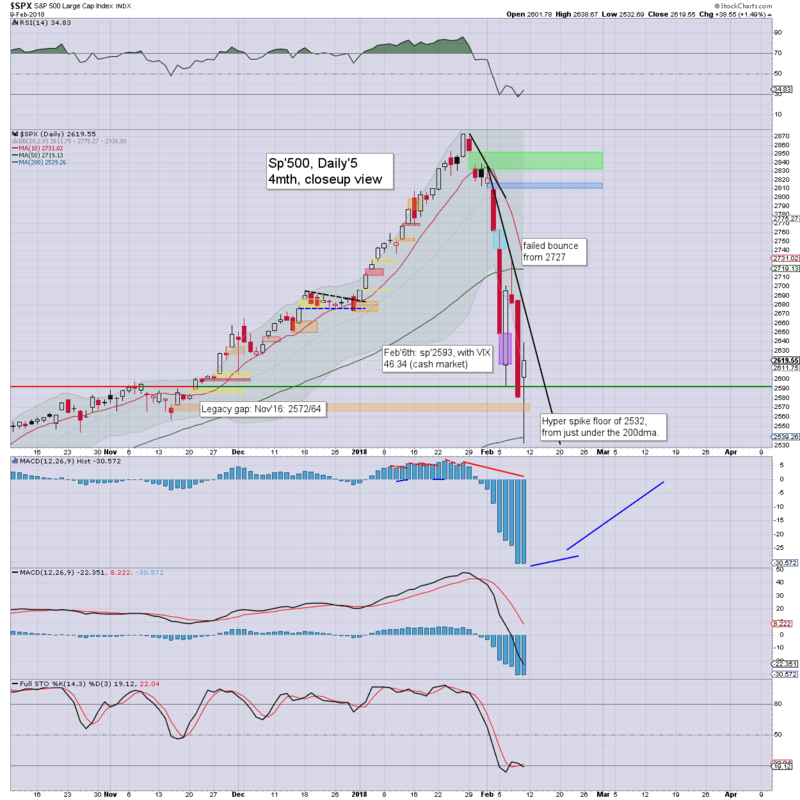 The 200dma was taken out, but then the market saw a spike floor of 2532, and then began to battle choppily upward. There was a late afternoon surge upward, settling +1.5% at 2619, a very significant 87pts above the low. 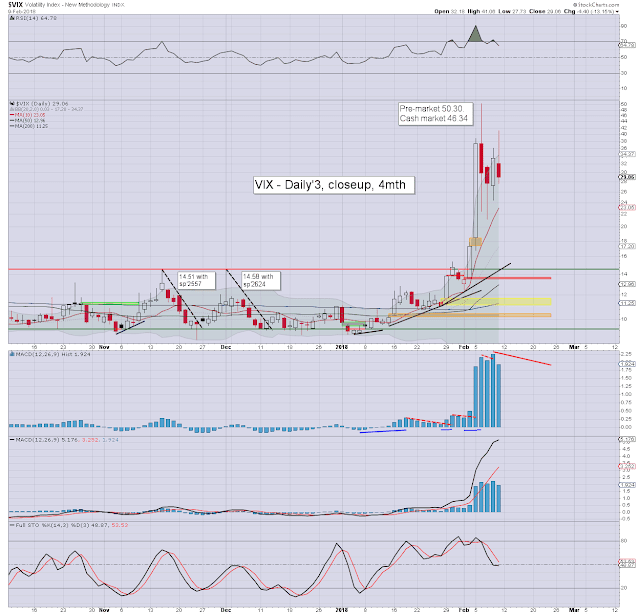 Volatility was itself very volatile, with the VIX hitting the 41s, but then rapidly cooling as equities hyper spiked. The weekly close in the 29s still makes for a very elevated VIX. Preliminary thoughts on next week: a basic 2-3% of upside, as the bears get ground out, with the old 'dip buyers' starting to return.